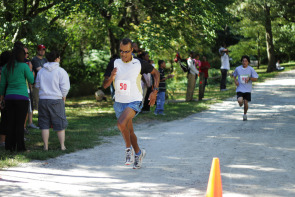 At the 21st Annual Paper Mill Run 5K Race there were 183 runners participating in the event. It was the largest number of participants registered for the race to date. Originally published on September 17, 2010 by Philadelphia Neighborhoods, an online publication of the Temple University Multimedia Urban Reporting Lab.